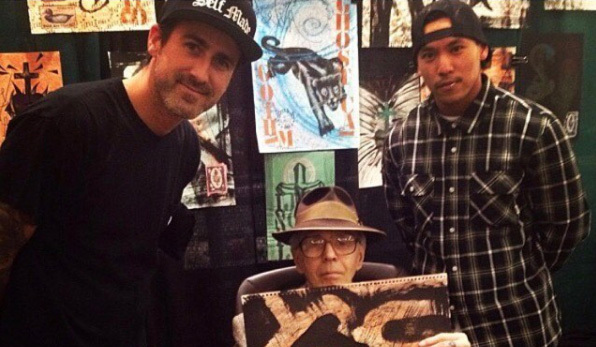 Tim Hendricks and his apprentice Bryan ✞ Black stand with tattoo legend Thom DeVita. Hendricks speaks on the importance of Traditional Tattoo Apprenticeships, patience, hard work, and integrity. ← Help us spread the word!